Well can’t say I completely expected this episode to be focusing on Akko and Constanze. There was some fun to be had in this episode. 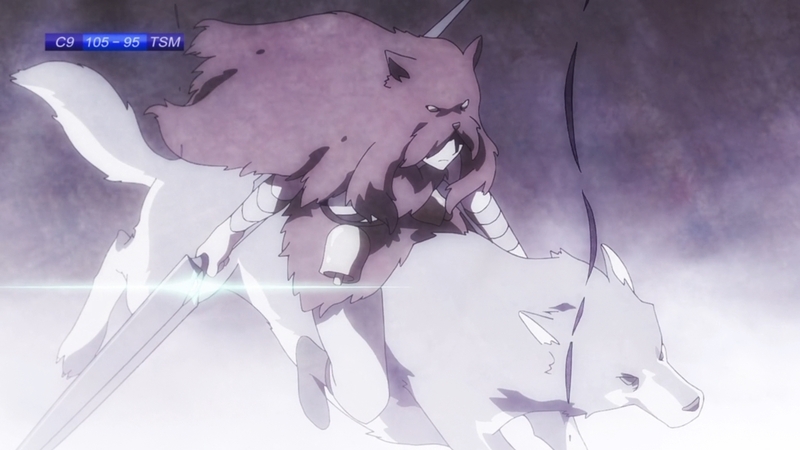 It is hard to have a boring episode where you literally have a magical giant mecha battle in the latter half of it. Although I am a bit surprised they decided to go here since Constanze…doesn’t speak. Occasionally she does write something down, but she doesn’t even really do that very often. The other side character focus episodes were ok because at least the focus was on characters that could carry some scenes. Constanze makes some cool stuff. I wouldn’t have minded a conflict with her and Croix since they are both using magic and technology in unison. But that surprisingly isn’t really part of this episode. Croix is still doing her experiments, but doesn’t directly interact with Constanze. It is also a bit odd how last week they hinted that Akko was about to awaken another word…but apparently that’s not the case. At least the plot is still moving forward, though admittedly not very much. Croix is continuing to play around with emotions in order to draw out even more power. This time it was all about scaring the daylights out of people. It is nice that Ursula knows what Croix is doing, but a fair point is made that she individually can’t do much about it. In that case it might be time for her to start making some open moves against Croix. If she can prove this person is literally experimenting on people and putting lives at risk…the school would probably expel her if not bring the authorities into the mix. 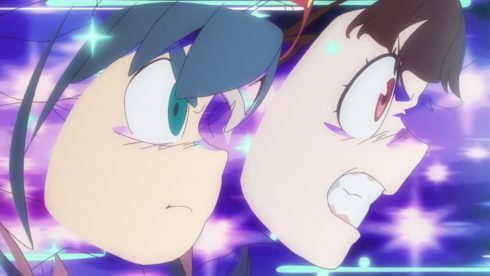 At the very least Constanze and Akko managed to avoid things going too far with Croix’s test. They fought well. It was over the top, silly, but still entertaining. It was fun enough seeing them fly around in a giant magical ship shooting down ghosts with canons. 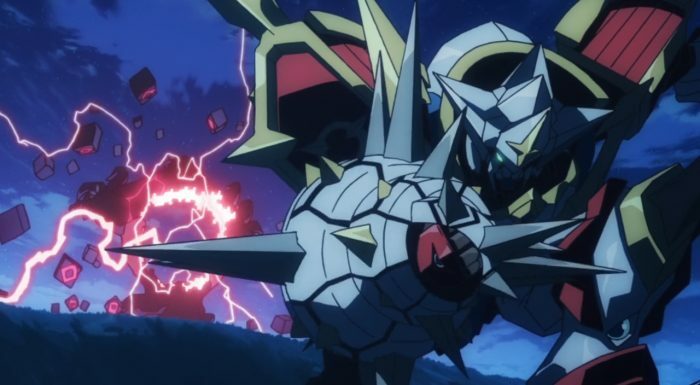 But, it was especially fun when they went full mecha. They played up a fair amount of the standard tropes, such as everyone lending their power to the hero to allow them to stand up and win the day. In terms of just pure and simple fun this was a good episode. It wasn’t anything more than a light stop in the road along the story. In some ways I don’t really understand Constanze more than last week. We learn that she is interested in ships and clearly has wanted to take part in this ghost hunt for a long time. But we don’t really get much as to why. She went on a trip with her family, but did something happen there that caught her attention? Or did she fall in love with ships after seeing one? 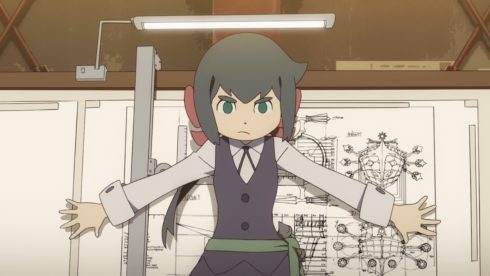 Why is Constanze excited about taking part in this hunt? I suppose all answers don’t have to exist after one episode, but just not sure there is much to say about her even after this episode. There was a lot of montages, a lot of focus on Akko trying to get Constanze to let her help. Though when she did get excited about the robot drawing Akko did…that was a small insight. This episode may in part simply showed how Akko has changed and yet still remains Akko. A lot of this starts from her trying to do something good and messing up. Damaging that robot lead to her trying to make amends and in a lot of ways being a nuisance. But at the same time she did earn trust. And she earned that trust through doing things properly. It isn’t like she stole that kitchen appliance to help Constanze out. Instead she explained the situation and properly gained access to it. If nothing else Akko is determined about things and will go to extremes to help out. She also has a fair amount of random knowledge that can occasionally come in handy. Her flaws still exist, but she’s learning how to apply herself. If nothing else we are steadily moving towards the last part of this show. Croix is continually causing trouble. 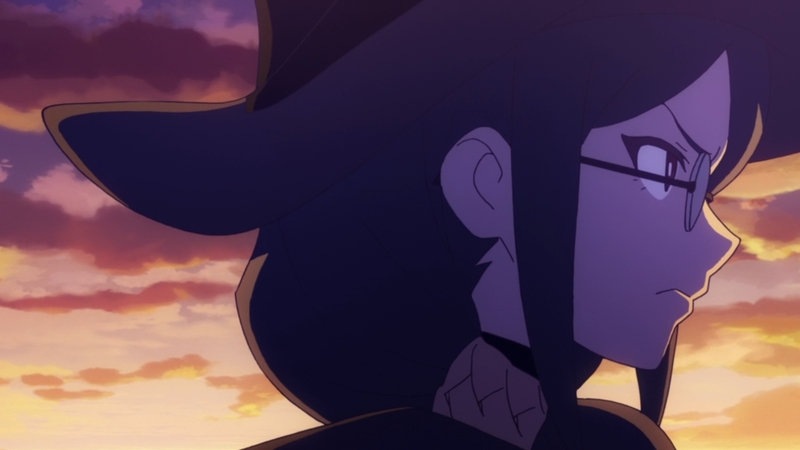 Sooner or later she is going to pull something that not even Akko will be able to ignore or misinterpret. And this episode did give Akko a tangible benefit for helping out. It was good of Constanze to give Akko a broom that she could actually ‘fly’. Pretty slow and not very effective, but it was a nice gift. 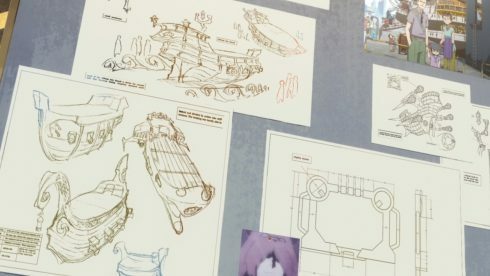 Eventually the conflict between Croix and Chariot will also come to the forefront. But for now we may still have a few episodes focusing on Akko improving her relationship with the side characters of the story. 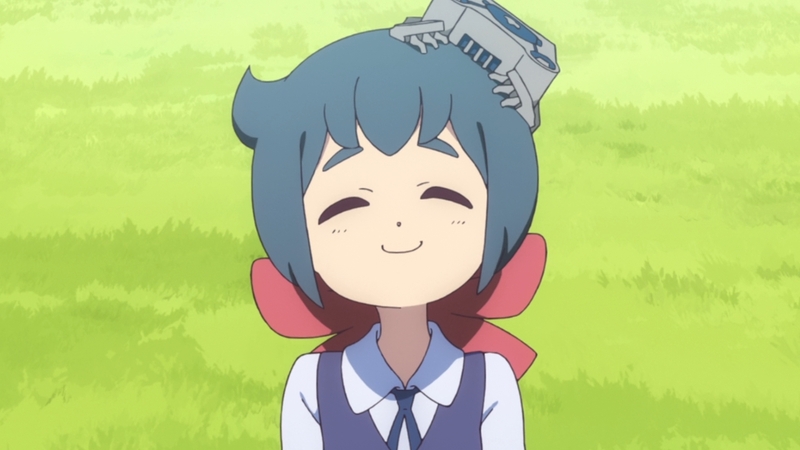 This time was Constanze, but who knows which character might get a focus episode next. Though I wouldn’t mind if they soon transition to Diana and whatever is going on with her. For the moment though we got an episode with some magical pirate ship/battle mech action. Not the best episode so far, but not bad.